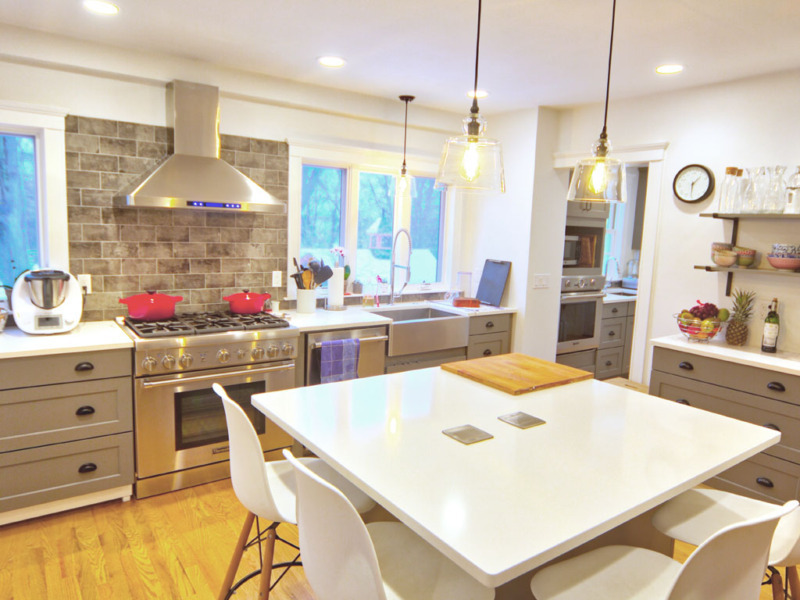 We brought a 1970's reno back to a style more in keeping with the rest of this gracious home. 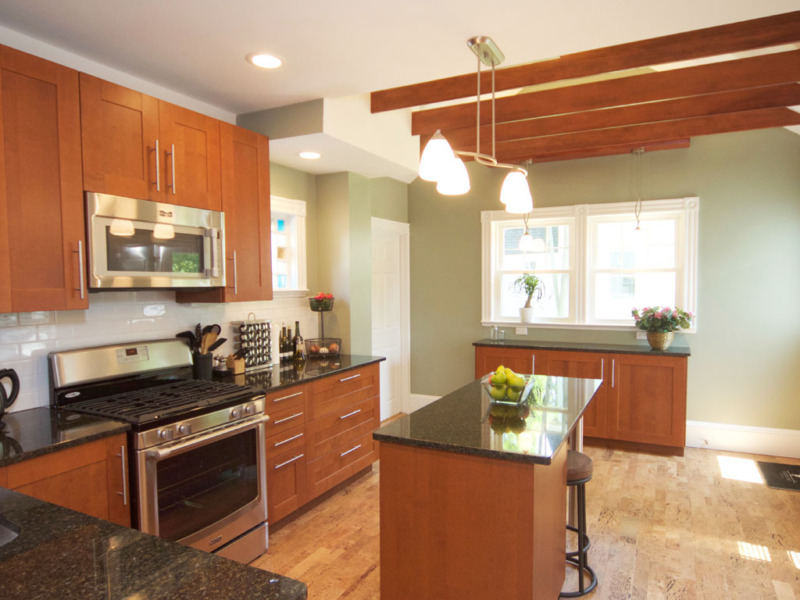 This kitchen went from dark and dysfunctional to bright, airy and efficient. 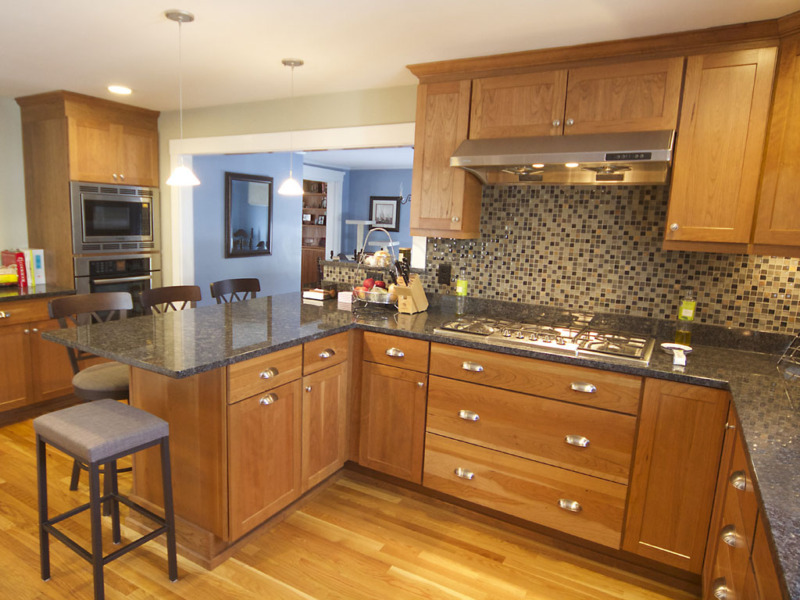 We took a cramped, dark kitchen, removed walls to the hallway and dining/living room, and added abundant, carefully thought-out storage, prep space and finishes, lending a spacious feel to what is still a small space. 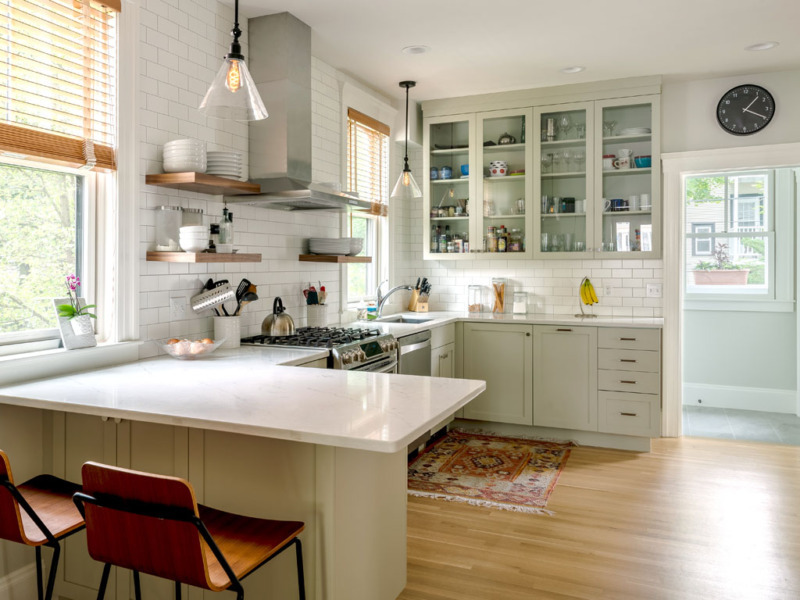 This hardworking kitchen displays a neutral palette & deftly balances work, storage and circulation space. 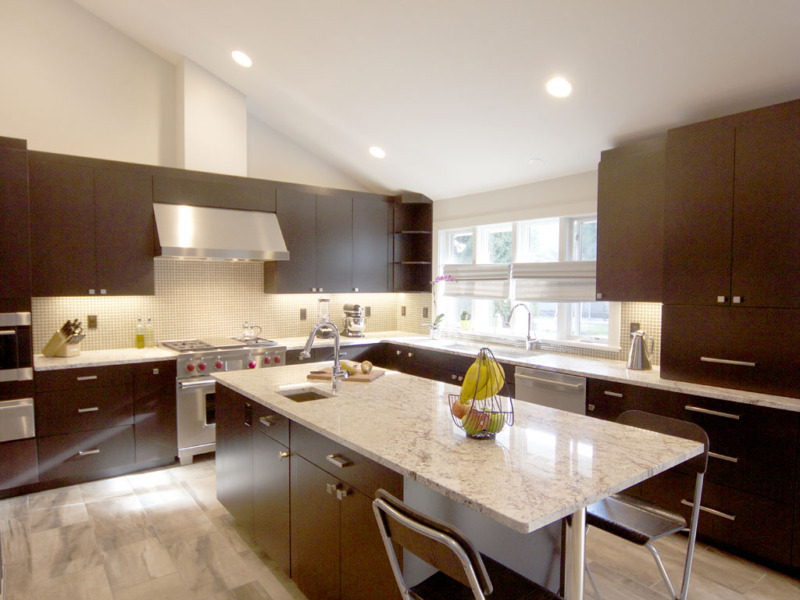 The goal for this project was to open up the space and create a modern kitchen that also held to the ideals of Feng Shui. 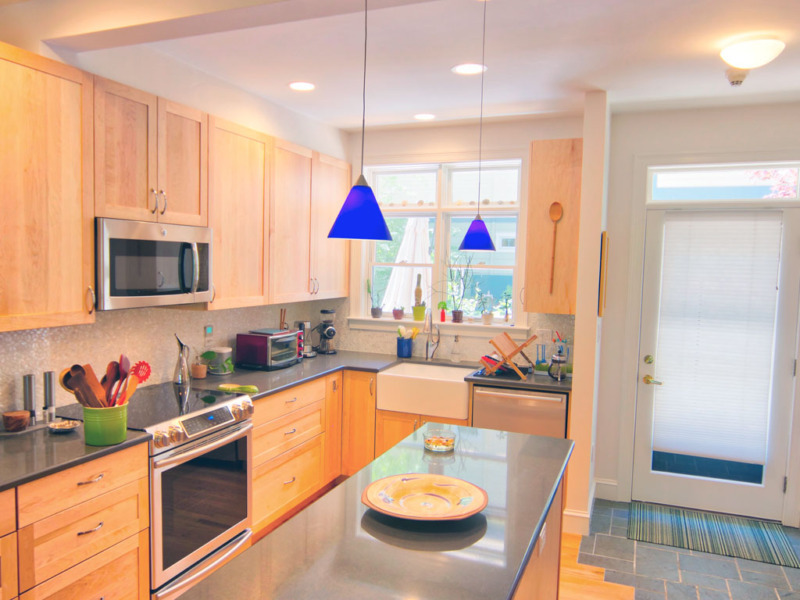 Sunlight floods the kitchen and is reflected well throughout the space. We took a small, cramped kitchen and bumped out the back wall. What a difference 85 sq. ft. can make! Our client's passion is baking pizza. We started designing with Micah and Sarah before they purchased the house to make sure it would work for them. 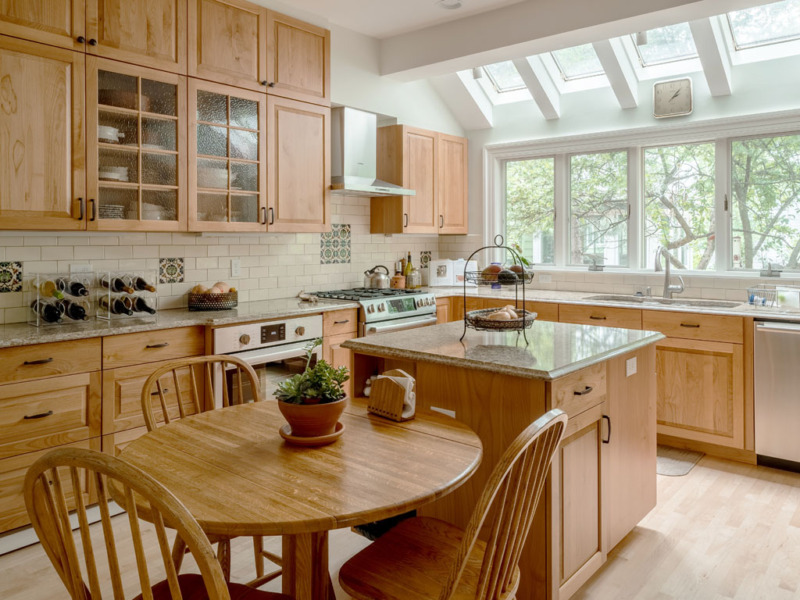 The kitchen of this 1880's farmhouse was a mishmash of small spaces and additions. The initial plan called for removing walls to open up the space. During demo the client looked up and said, "can we capture the space in the ceiling too?" Sure we could; all it took was a few collar ties, light boxes to bounce light into the vault, and a chase to corral all the pipes for the bathroom above. 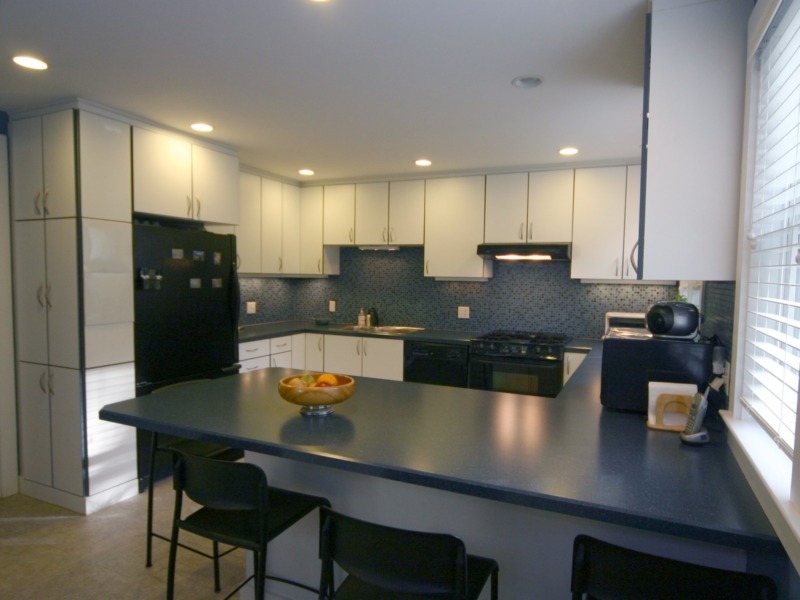 The final result: a light airy space with plenty of room for cooking and socializing in style. 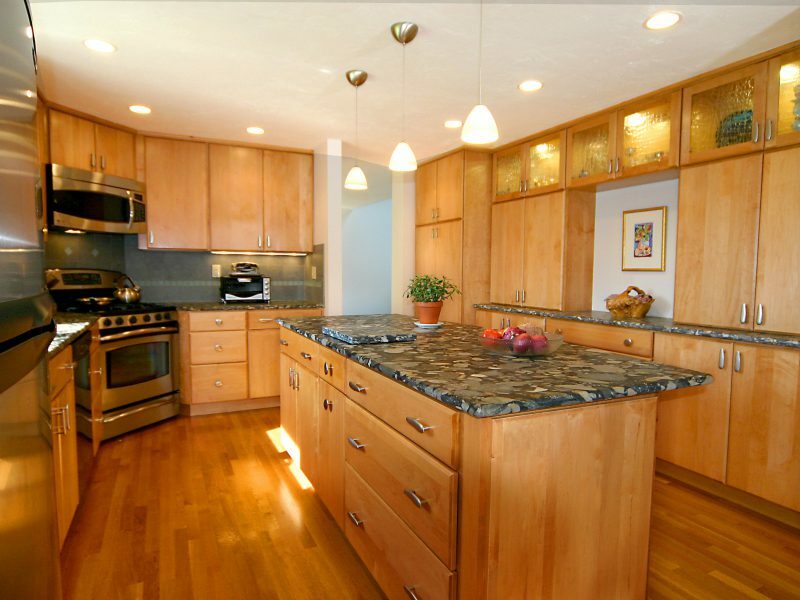 This kitchen was gutted and rebuilt for a new “work flow”, including cabinets, tile work, flooring, and lighting. 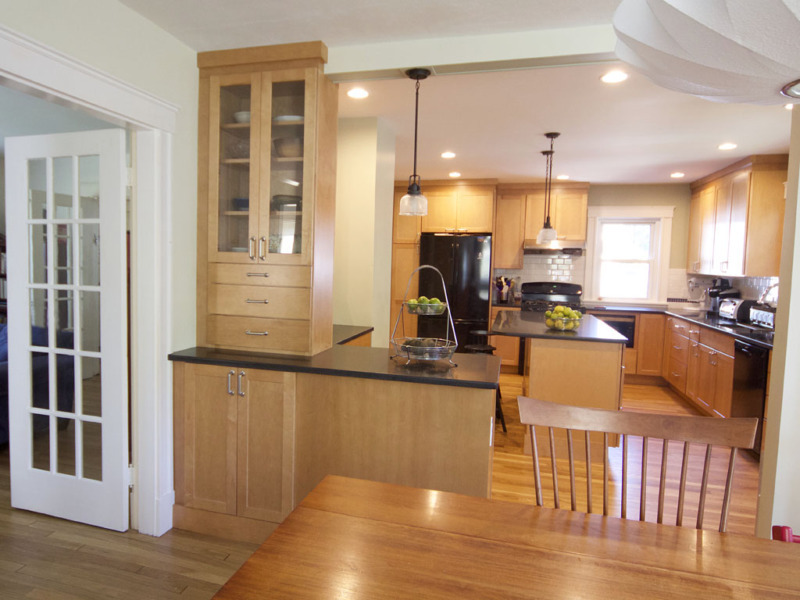 We enlarged the kitchen by removing an exterior wall and walling in the adjacent exterior porch.